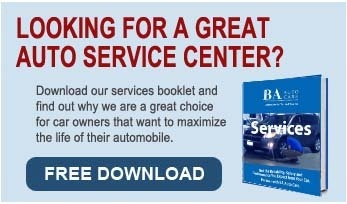 Tired of hunting for the perfect auto service center for your Mercedes? We started working on Mercedes several years ago, back in 2006, at our customers' request. Many of our customers who owned other vehicles we worked on wanted us to work on their Mercedes also. It took a few years before we responded to this request because we wanted to have the tools, software and technicians trained before moving forward. Well, that was nearly ten years ago. Since that time our technicians have embraced Mercedes and haven't looked back. Our preventive and predictive auto maintenance programs coupled with evidence based maintenance have kept our Mercedes-Benz customers' cars running safely and reliably. You haven't compromised on your car, why compromise on service? We service all Mercedes-Benz models at our Columbia, MD location. This includes the sedans, coupes, SUVs, wagons, hatchbacks, convertibles and roadsters: A-Class, B-Class, C-Class, CL-Class, CLA-Class, CLS-Class, E-Class, G-Class, GL-Class, GLA-Class, GLK-Class, M-Class, R-Class, S-Class, SL-Class, SLK-Class, SLS AMG, Viano, and Citan. We just may be the perfect auto service center for your Mercedes-Benz. As a Mercedes owner, you deserve excellence. Stop in and find out why we've been rated Howard County's best for over 25 years.